I really liked writing the fashion inspiration blog post about summer cross body bags and I have decided to start a range of blog posts about the fun and cool things that I discovered during shopping. It is almost like taking you along shopping with me, hence the name: Shopping with Michelle. 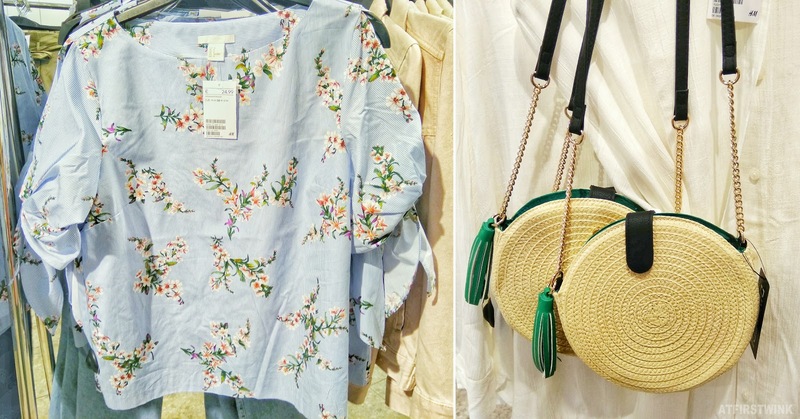 This time, I found some beautiful summer fashion items at the H&M store in the Koopgoot (aka Beurstraverse), Rotterdam. On the left, you can see a fine-striped blue blouse with sakura blossom branches print (€24.99). I really like the half sleeves with bows on the ends and they are open on top (as in: you can see your upper arms peek through a small opening from shoulder to elbow). On the right, you can see two straw round bags with green faux leather tassels (€19.99 each). It has a shoulder strap with one half of a gold-colored metal chain and one half of a thin faux leather strap. It is closed by a press button and it is open on top. It would look great with any summer dress. 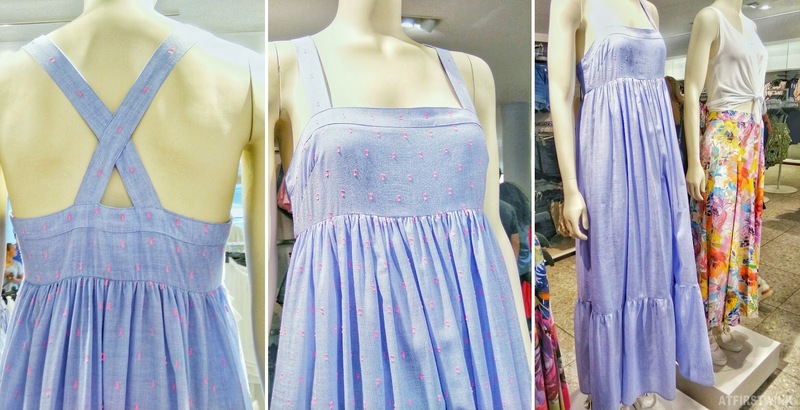 I also discovered this gorgeous, ankle-length, long dress with wide straps and (almost neon) pink sprinkles (€49.99). The fabric is light and soft to touch. It is sadly a bit too long for me. I think I could wear it, if I removed the bottom ruffled part. I haven't bought any of these items, but I hope that you had fun reading this and got some fashion inspiration from it.